The Verzasca Group’s Pearl House condominium project in Bay Harbor Islands is now sold out, amid a boom in development in the once-sleepy enclave, The Real Deal has learned. Pearl House, a seven-story, 15-unit development at 1170 101st Street is scheduled to break ground in September, on a a single-family home lot, Tim Lobanov, Verzasca’s managing director, told TRD. Prices started in the upper $500,000s, to the low $900,000s. The project is designed by Frankel Benayoun Architects. Units will range from 1,300 square feet to 2,200 square feet, averaging 1,500 square feet, Lobanov said. Seventy-nine percent of buyers are foreign, with most from Latin America, and 21 percent are from the United States and Canada. Among Latin American countries, Brazil ranks first, then Argentina, Colombia and Mexico, he said. Verzasca, which first entered the United States by launching sales for Pearl House in December, is also planning a nearby condominium development, Le Jardin, at 1150 and 1160 102nd Street. The seven-story project, also designed by Frankel Benayoun Architects, will have 30 residences, with square footage similar to Pearl House, Lobanov said. Bay Harbor Islands is undergoing rapid redevelopment, with 24 new condo developments announced in the community of low-rise residential apartment complexes and single family homes. Miami-Dade property records show Verzasca paid $1.1 million in October for the Pearl House site, and 2.3 million in January for the two vacant lots to be developed as Le Jardin. Unlike some other cities, including Miami Beach, Bay Harbor Islands allows monthly rentals, as do the condo documents for Pearl House and Le Jardin, Lobanov said. 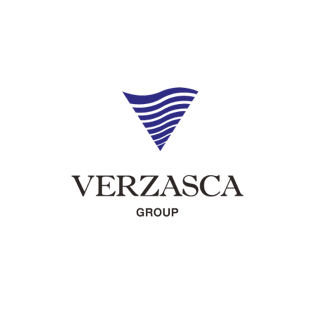 Verzasca is investing $100 million in its two Bay Harbor projects, and will raise another $600 million over the next six years. The Russian developers are planning “the tallest building in Edgewater,” and a condominium tower on the current site of a Denny’s, on the west side of Collins Avenue in Sunny Isles Beach. Last month, the Sunny Isles Beach City Commission deferred action on the proposal to build a 19-story condominium on the site, giving Verzasca more time to respond to complaints that the development, at 17550 Collins Avenue with a ground-floor restaurant, would create too much traffic congestion.